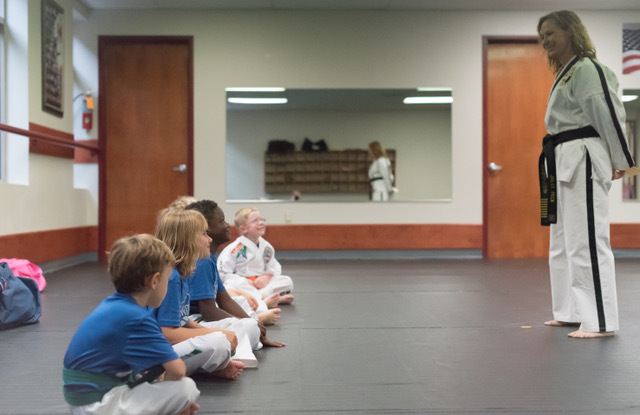 Kids Martial Arts in Raleigh and Morrisville! CALL US NOW 919-846-6578 GET IN TOUCH NOW! Give your child the action-packed Kids Martial Arts classes at Peck’s Taekwondo America, and you’re bound to witness an amazing transformation! From a new found passion for physical fitness, to steadfast discipline and unwavering self-confidence, our kids martial arts classes have so much to offer. Peck’s Taekwondo America Kids Martial Arts classes are great for all kids between the ages of seven and eleven. Our world-class black belt instructors are true pros with children, and we go to great lengths to make sure our students get the most out of every class. And because we reward kids with plenty of positive reinforcement, your child will feel like a champion beginning with the very first class. OUR KIDS MARTIAL ARTS CLASSES OFFER UNENDING BENEFITS! Off-the-chart fitness levels for a strong, healthy body. Leadership skills and character development that will set your child apart from the crowd. Critical self-defense skills your child needs to handle bullies, peer pressure and more. At Peck’s Taekwondo America, we believe in giving every child the best opportunity for success. We accomplish this by keeping our class sizes to a minimum, so you can rest assured that your child will get plenty of one-on-one instruction with our world-class black belt masters. THE BEST THING YOU CAN DO FOR YOUR CHILD RIGHT NOW! If you’ve made it this far, it’s clear you want the best for your child. Of course, any child will benefit from a kids martial arts program, but when you choose Peck’s Taekwondo America, you’ll agree that we go above and beyond, giving your child the leadership skills and character-shaping exercises that kids need to succeed in life. With new Kids Martial Arts classes starting this month, there’s no reason to wait to get started. And for a limited time, we’re offering a very special introductory price on our kids martial arts classes. To learn more, just complete the short form on this page. We’ll give you all the information you need to get your child started in the fun and rewarding Kids Martial Arts classes at Peck’s Taekwondo America! Peck's Tae Kwon Do has been wonderful for my 8 year old son. Julee is fantastic with kids and really learns the individual needs of her students. I highly recommend her studio to everyone! Could not be more pleased with Mrs. Peck and her team of instructors. Been disappointed elsewhere, not here. My 9-yo boy loves it. Good balance of structure. Wholeheartedly recommended.